Starting in Hawaii , Then Mexico ending in Indo / El Salvador! Kody surfed Ho'okipa and Lanes at home on Maui almost every day during January, regardless of the conditions as part of his final preparations for the 2015 SUWT. Watch him compete in the Sunset Beach Pro this week as he pits his radical riding against the best in the sport! Mooie video met Candice Appleby in actie.... Infinity Welcomes Candice Appleby to the Team. One of the most surreal days we've ever had in the water. Joined by a pod of dolphins for around an hour as the water slowly turned to glass. SUP Surfers are Kyle Tatam and Ryan Warrington. With thanks the the New Black Shades for the tunes. 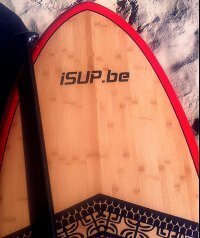 Mooie actie in de nieuwe NAish SUP video, When Lanes is firing, the best come out to play. Check out Robby "The Boss" Naish, #TeamNaish rider Kody Kerbox and Naish Product Manager Michi Schweiger scoring on a killer day on Maui's North Shore.